Let the enormity of the situation really ~sink~ in. Alix Martinez loves photographing children underwater; the ripples, the colors, the happiness children exude. Coming up with themes that describe the children’s personalities is fun for Alix, but also fun for them. Its a wonderful challenge taking these photographs and creating fine art with them. Alix Martinez loves photographing children underwater; the ripples, the colors, the happiness children exude. Alexis Golding is an underwater photographer born in Venezuela and photography is his greatest passion. Photographer Brett Stanley’s images of Underwater Pole Dancers really capture the beauty and talent of the subjects. Utter Inn (in English, Otter Inn) is an art project by Mikael Genberg which offers an underwater accommodation for the public. The facility is entered through a typical Swedish red house located on the surface of the water. Utter Inn (in English, Otter Inn) is an art project by Mikael Genberg which offers an underwater accommodation for the public. Forget what you knew about your typical wedding photos! Adam Opris is breaking all the rules of traditional posing and bringing his brides and grooms underwater! By bringing them into the underwater realm, anything becomes possible. He incorporates the weightless environment underwater with bridal beauty and elegance to transform the brides into mermaids, and bring their wedding dresses to life! Forget what you knew about your typical wedding photos! Adam Opris is breaking all the rules of traditional posing and bringing his brides and grooms underwater! 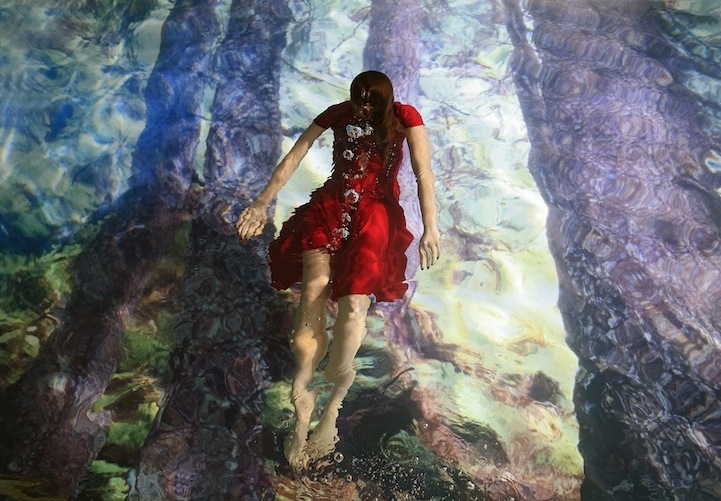 With that great love for water, Adam Opris is bringing mermaids out of his maternity clients. By embracing buoyancy and enabling these pregnant women to be free, he is creating magic to capture pregnancy in all of it’s glory! Montreal-based photographer Benjamin Von Wong, who wowed us with his shockingly creative photos of a man on fire, is no stranger to epic concepts and photo shoots.